For well over a century, power plants across the country have burned coal to generate electricity. And for just as long, leftover coal ash has been dumped in open, unlined pits near the power plant, usually located on a river or lake. Every year, U.S. power plants produce 130 million tons of coal ash, which is the second largest waste stream in the country after municipal garbage. Coal ash concentrates the toxic heavy metals found in coal, including arsenic, mercury, lead and selenium. Stored in unlined, wet impoundments, coal ash has been leaking these toxics into our groundwater and surface waters for years. Sometimes these impoundments collapse — with disastrous results. Yet government regulations for coal ash management are either non-existent or sparse, and there is little enforcement of the regulations that do exist. 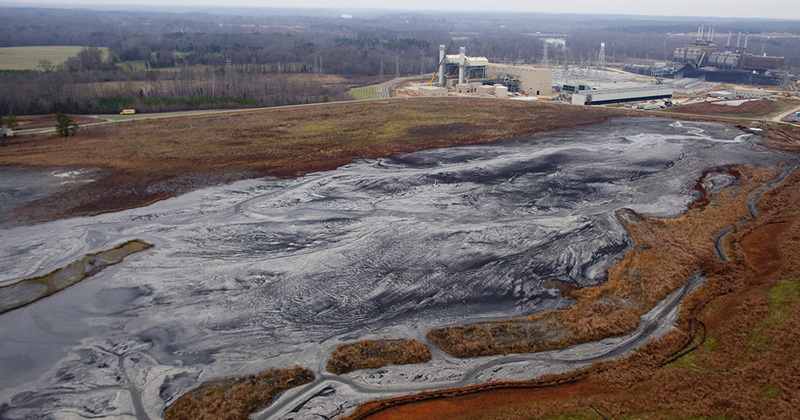 In North Carolina, this lack of oversight — and the complicity between state regulators, elected officials and Duke Energy — came to a boiling point in February 2014 when one of Duke’s coal ash impoundments spilled 39 million tons of ash into the Dan River. 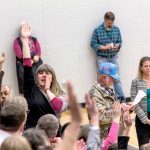 Citizens living near North Carolina’s 33 coal ash impoundments — all of which are leaking — have been fighting for transparency from Duke and the state, and for cleanup of the pollution that threatens their property value, health and family. Their actions have forced this issue into the headlines of news networks and to the forefront of environmental justice conversations in the United States. Appalachian Voices stands with these communities as we work to compel Duke Energy and the N.C. Department of Environmental Quality to excavate coal ash from all the North Carolina sites and dispose of it either in lined, dry landfills, away from waterways, or by recycling it for concrete or other uses, provided it’s done in a manner that protects public health and the environment. 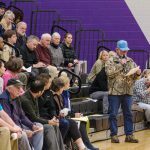 North Carolinians have united together to compel full cleanup of coal ash sites and safe disposal so it harms no one in the future. Sign up to protect clean water! 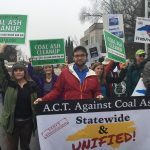 Coal ash cleanup decision a huge victory for North Carolina! 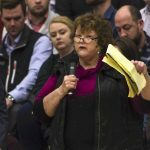 Five years after Dan River: Coal ash in N.C.